Bellbrook, located conveniently off of interstate 675 and Route 725, is proud of its well-planned and desirable neighborhoods which offer a range of housing from custom built single family homes on large lots to luxury apartment and condominium units. Bellbrook offers a mix of modern amenities with a downtown village atmosphere. Bellbrook is proud to have been called home by actor comedian Jonathan Winters and writer Erma Bombeck. Additionally, this municipality is minutes from Downtown Dayton and Wright Patterson Airforce Base. 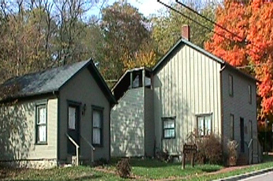 Uniquely, Bellbrook, with a population of approximately 7,000, is one of only four (4) out of 250 cities in the state which do not levy a local income tax. Bellbrook school system includes 1 Elementary School, 1 Intermediate School, 1 Middle School, and 1 High School, rated Excellent by the state of Ohio 6 years running through 2010.